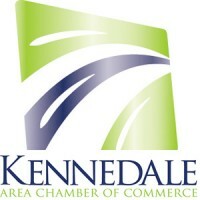 Membership in the Kennedale Chamber helps support the area’s economic development and builds your company brand with positive and long-lasting relationships. Sponsoring a chamber initiative or event takes that engagement to the next level, establishing your business as a committed community partner. Collect Valuable Publicity: The KACC has an entire staff dedicated to publicizing events, including a ton of recognition for our lead sponsors. Each event or fundraiser you support means weeks of social media, blog, printed, and in person advertising for your company with little to no effort on your part. Not only is your name constantly circulated in the community, it comes with the positive association as a partner in a worthy cause, already known and well-respected. Build Business Relationships: Business to business marketing is often cited as the most valuable aspect of Chamber membership, and we offer a number of different platforms for you to engage your fellow business leaders and build strong, long lasting partnerships that can be invaluable, either for co-marketing, B2B purchases, or as an ally to brainstorm and share advice. Gain Instant Referrals: Our website refers local residents to area businesses 24 hours a day, and the chamber office receives daily requests as well, so we are constantly putting our members’ names out to interested parties. Many members also find the most referrals come from other chamber members, and our networking groups give you plenty of time to build those relationships. Business Education: Everyone needs advice along the way, whether it’s your first day in operation or your fiftieth year, and the chamber is here to help! We are constantly sharing helpful articles and insight, and host monthly Lunch & Learn seminars that cover a wide variety of topics for any style or stage of business. If you have a specific need, we’re happy to put you in touch with an expert to cover almost any crisis or new phase. Economic Development: KACC works closely with the City of Kennedale’s Economic Development Corporation to help the entire area grow and thrive. Chamber members not only stay up to date on new progress, they help ensure our local economy continues to succeed and excel.